Unless maybe we are talking about how Flappy Bird destroyed their self-confidence (what do you mean all of these 11-year-olds have a higher score than me?! ), wasted hours of their time, lowered their productivity at work/school, or kept them up at night pondering how they could get the little flappy bird through the dangerous world of pipes. 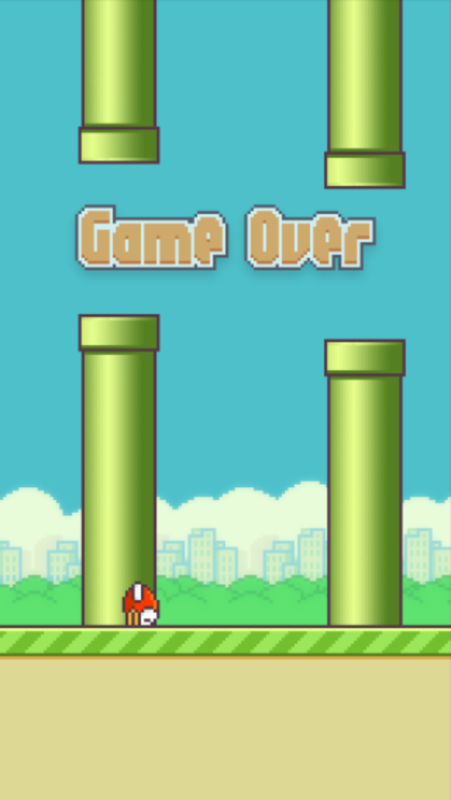 I had never heard of the game until my little sister tried to convince me how hard this new game called Flappy Bird was. I didn’t believe her when she said her high score was 5. Until I she handed me her iPod, and I tried it for myself anyways. So I downloaded the silly bird game on my phone in an attempt to beat my sister (who is 10, by the way). I finally beat her (I think I got through 7 pipes…) and couldn’t have felt more accomplished. I am not sure if I have ever felt so proud of beating a 10-year-old before. She then took it upon herself to beat my high score, starting an ongoing competition to see who can get the highest score. Flappy Bird did not change my life, but the simple game brought a new dynamic of friendly competition to my relationship with my little sis. Having a 10 year age gap between us creates a different sort of relationship than I have with my other sisters. This little competition (however silly and ridiculous) gives us a new way to bond.